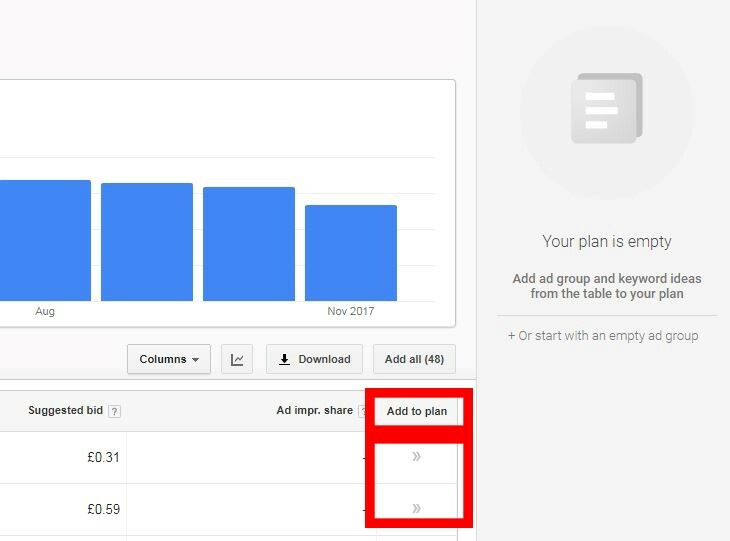 This week we follow up again on our Basics of PPC series by showing you how to use Google’s Keyword Planner Tool in 4 easy steps. In our previous blog we talked about the importance of establishing AdWords Goals and how this would give you different tracking metrics. It really is a crucial step which often gets blurred in the background forgotten. Make sure you do this first before you start researching your superhero keywords. This would save you valuable time later when you start laying out your campaign structure. 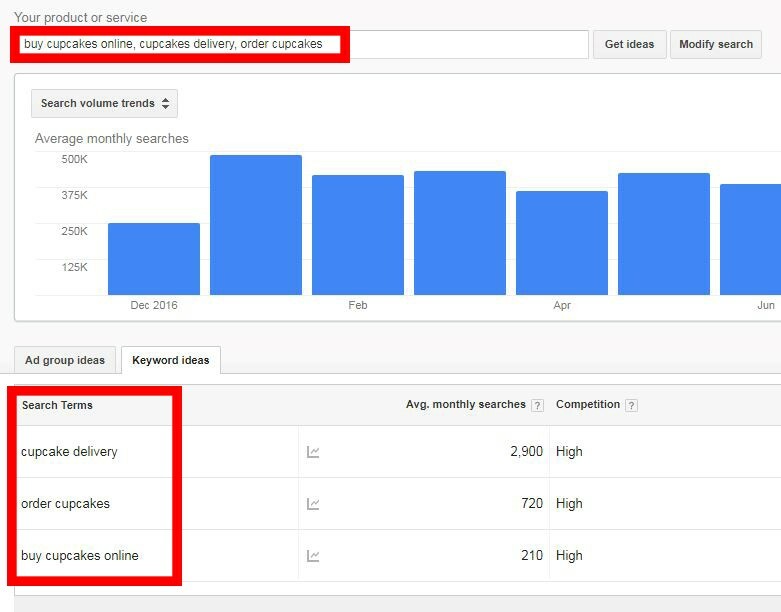 What is Google’s Keyword Planner Tool? Put in simple terms Google’s Keyword Tool helps you see which words are with high or low search volume, how competitive these keywords are and what the suggested bids are according to Google’s data – these may vary as it’s auction based. These are the words that would trigger your ads on the Google Search Network. They have the power to exhaust completely your budget in no time or to bring you customers who are looking exactly for your products or services. Why is it important and how can I use it? You can use Keyword Planner in two ways currently. Firstly, you can view historical data such as how many people on average searched for the specific words you are interested in. Secondly, you can use it to get search volume forecasts which would help you with the planning of your budget at later stages and depending on the industry might indicate which months it gets busier. Let’s jump straight into it and focus on the task at hand. 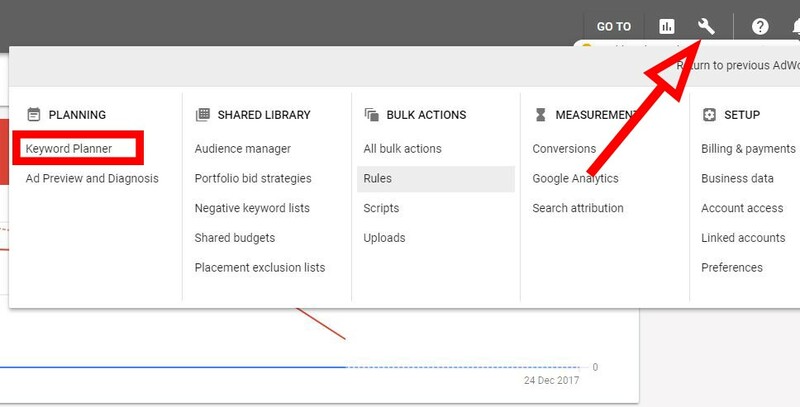 If you are new to AdWords’, then to find this tool open your account and at the top header menu click on tools. 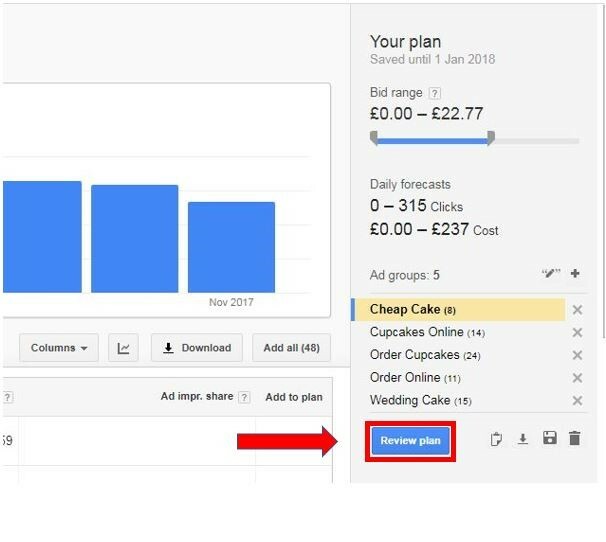 On the new AdWords’ User Interface, the location of the tool is still on the top, but you must click on the tool icon and then it’s under “Planning”. Tip: When it comes to this tool whether you open it from the new or old interface it will be the same. So, don’t worry if you think you would miss out on something if you don’t. Give it a try! Enter these words in the search box, choose your targeting location and see your results. You should get something that looks similar to the image below. Tip: Use only one keyword per line otherwise you won’t get results for all the words. 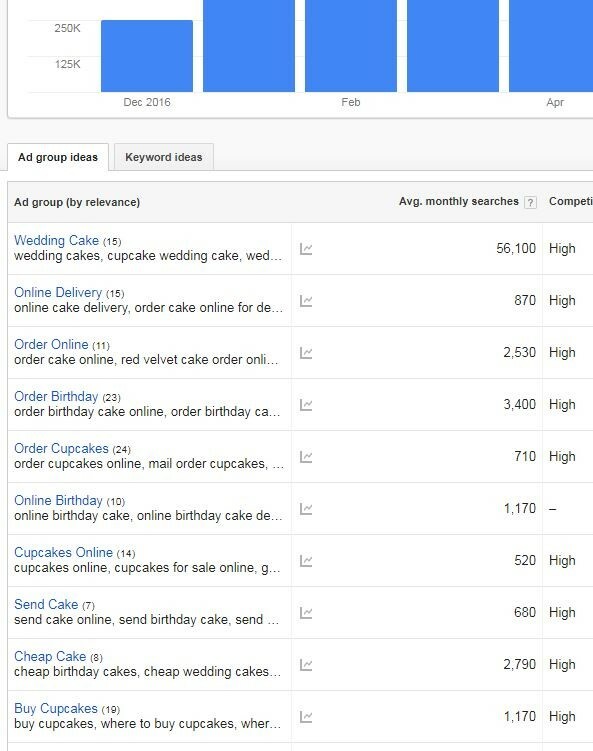 You can click on ad group ideas to see all the results grouped by relevance. Very useful if you need to navigate through a lot of keywords at once. If you think a keyword is worth bidding for and is highly relevant to your business, then you would want to save it on the side. Click on the arrow icon below the tab add to plan to save the word in your ad group plan. Once you have exhausted your ideas review your plan just to make sure you haven’t clicked on an irrelevant keyword. Tip: Many people when doing google advertising believe they have to get more people to their websites to generate more sales, but that is simply not the case. You should prioritise your efforts and spending towards keywords that have high buying intent and if possible medium to low competition. It’s a good idea to have different keywords and test which ones perform the best. If you are starting out on your AdWords and require a little guidance along the way, why not get in touch and we can help you to answer these questions. Next week we will have a look at how to effectively build our campaign structure.